Are you looking for a new Honda vehicle, or are already a proud owner and wondering how to use the Honda Navigation System to the fullest? You’re in luck. Here at Henley Honda we have seen this cutting-edge automotive technology in action, and are ready to share all the perks and secrets of the system. We have plenty of information and tips to help you understand how to use your Honda Satellite-Linked Navigation System. The Honda Satellite-Linked Navigation System gives drivers the confidence to discover new destinations without losing direction. With an intuitive system, your Honda Navigation can not only give you accurate routes before you hit the road but can also suggest what you need at the touch of the button. This is especially helpful when you get thirsty and looking for the nearest convenience store, or need to fuel up in a new city. The navigation has different categories like community services, convenience store, food & drink and more that will give you what you need, where you need it. It’s a common situation we find ourselves in. You locked in your destination and now you’re on the road, wanting to take a detour or a quick pitstop. You can get back on route or change your mind anytime with this new navigation system. The voice recognition allows for on the road command which also includes functionalities to other apps within the system, and access to your phone to talk and connect with what’s important to you. Displayed on your Honda’s 8-inch navigation screen is the ability to reach most recent searches, whether destinations, people, or Apps. One destination that is always guaranteed in your route is the trip back home. You can make every trip quick and painless with having your designation programmed so all you have to do is touch and go, giving you the peace of mind to enjoy the ride ahead. With so many new technologies and digital assist programs, the future of technology can be overwhelming. One key way Honda is relieving this is by creating simplified functionality. With the ability to create quick shortcuts to customize your driving experience, you won’t crowd your screen with functions you don’t want. Some of our favourite shortcuts include the conversion option to convert kilometres to miles when travelling to the U.S, something common for us as part of the Niagara Region. Another great tool is the EcoRoute, calculating your fuel cost for each destination so you can track your investment and see where your saving money with a Honda. If you feel your navigation system isn’t giving you everything you need, don’t panic, the solution is probably more simple and less expensive than you think. Simply hit the settings on the home screen of your Honda Navigation System where you can customize and find all the features you’re looking for. Having the ability to choose your visibility of navigation can be super useful if you’re more visually attuned like us, or just lack direction. With 3D building maps, you can bring the city to life right inside your car, allowing you to explore the city without ever leaving your car. 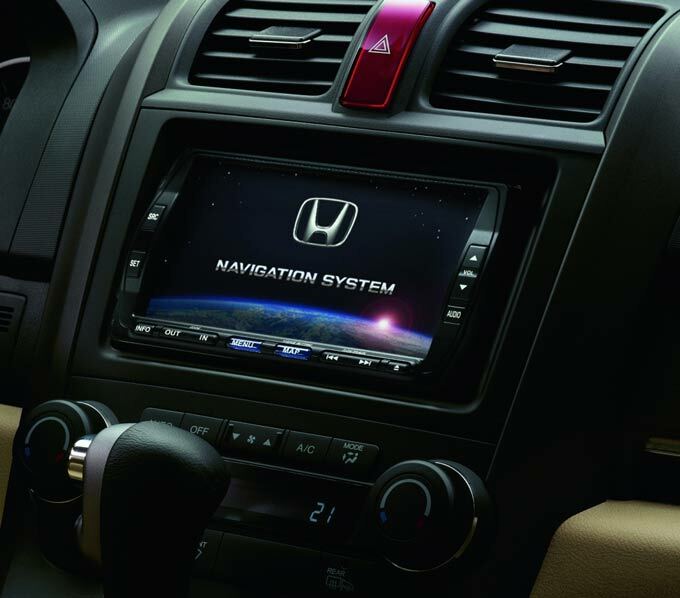 The sky is the limit when it comes to Honda’s Navigation System, with all the features you could imagine, customizing your Honda has never been so simple! If you’re still looking for assistance, or just want some insider tips of what our team at Henley Honda has customized in our vehicles, get in touch with us today.